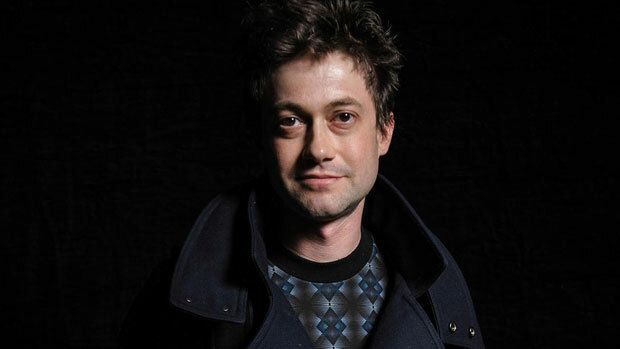 Adam Thirlwell interviewed by Susan Tomaselli. In the British literary establishment (and let’s face it, named Granta Best Young Novelist not once but twice is ‘establishment’), Adam Thirlwell is something of a Trojan horse: ‘Good novelists (or, maybe more honestly, the novelists I like) are often not just avant-garde in terms of technique; they are morally avant-garde as well.’ His novels – Politics (2003), The Escape (2009) – use Milan Kundera and Philip Roth as templates, and feature digressions on Osip Mandelstam, the Bauhaus and Saul Bellow, to name but a few. With their narratorial interventions and other unconventional stylistic quirks, they flaunt the rules of sexual comedies. But Thirlwell is a master of turning ideas upside down and inside out, no more so than in his novella Kapow! (2012), a response to the Arab Spring that uses typography, fold-out pages and wordplay to mimic the noisy confusion of events as they emerged on Twitter and YouTube. It is the missing link between Tristram Shandy and the Lissitzky designed For the Voice. Thirlwell has always been interested in the international and the experimental, and his Miss Herbert (2007), named for an English governess who may or may not have been Flaubert’s mistress, and may or may not have helped him translate Madame Bovary, is his understanding of the possibilities of translation through a miniature history of the novel (or, an ‘anti-novel, with novelists as characters,’ as he puts it). 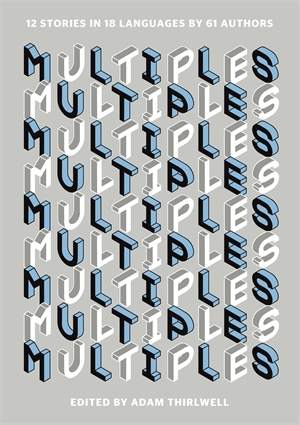 It’s a theme he continues to explore in Multiples (2013), a ‘project for multiplying novels in any language,’ inspired, partly, by Augusto Monterroso. Susan Tomaselli: Could you maybe frame Multiples? How did the project come about? What is an experiment in multiplying translation? And how does it relate to artists’ multiples? Adam Thirlwell: I suppose Multiples had a sort of giant theoretical cause in the background; and then many, much smaller practical ones. The giant theoretical cause was wanting to prove something or investigate something further that I’d written about before — a wish to prove that in some way it would be possible to reconcile style and translation (like trying to mate two different species to create some mythical beast). I’d thought maybe you could, if you just thought differently about them both, if you relaxed or enlarged their definitions. I began to think of a work as a set of instructions for future construction — as you mention below. But the more I thought about it the more I wondered that, if that were true, then the real conclusions necessary would be even wilder than I’d first imagined. I started thinking of experiments with third languages, and imitations rather than literal translations. But while theory is one thing, in the end the fun is the practical results. That was how I had a very vague utopian idea of a series of stories that would be translated by a series of novelists — to see what would happen to the story by its end: which would be partly an experiment with what we meant by an original, and translation, and also what we meant by style. 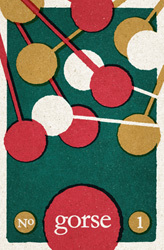 There, however, I would have happily paused — just contemplating this imaginary experiment. And therefore the true cause of this project actually existing was the mistake of mentioning that very vague ideal to the novelist Vendela Vida, so that suddenly, weeks later, I was on Skype and agreeing to set up a giant version of this ideal for McSweeney’s Quarterly in San Francisco — which in the end comprised twelve stories, each of which got translated and retranslated in series of up to five versions. As for the title, that emerged as I tried to think about what it was we were creating, as the project began to grow. And I suppose Multiples was a deliberately double title. in that on the one hand it was a kind of joke, since these are almost the opposite of artists’ multiples — these writers’ multiples are each entirely different objects, they’re reproductions that are all originals — and yet at the same time I wanted to imply that maybe there was a way of seeing these multiples as more similar to artists’ multiples than might at first be obvious: that in some way each version, however zany it might seem in relation to the original, was still a flawless reproduction, too. ST: Beckett changed languages because he wanted to be “ill equipped”, because French allowed him to write “without style.” You’ve deliberately chosen novelists rather than translators because of their style, haven’t you? How you did assemble the writers for the project? Yes, I chose novelists and deliberately excluded translators – not because I have such a hatred of translators, but because I wanted to see what would happen to the style of the original when faced with people whose usual mode is to subject everything they see to their own style… I wanted to exaggerate the problems facing the story’s survival. And I assembled the writers in a zigzagging way – beginning with as many friends as possible, and then proceeding through friends of friends and then dream luminaries like J.M. Coetzee and Javier Marías. The deep project was: I wanted novelists, overall, who each possessed a particular style; and who in their different ways were engaged in the creation of a unique linguistic pattern. But, as in every composition, the initial freedom was constrained by the first moves in the sequence – so that I had to keep filing in the pattern formed by each novelist in the series: if a French novelist could translate from English, that meant I then needed to find an English novelist who could translate from French, and so on… And if there are more English-speaking novelists who can translate from Spanish than they can from, say, Chinese, that’s why there are fewer Chinese novelists than Spanish-speaking ones. ST: Style is something you’ve discussed before. In Miss Herbert you said that style is not national and the style of a novel was a ‘set of instructions…never able to create an entirely unique, irreplaceable object.’ This is how translation is possible, isn’t it? It’s translation as a variation, rather than a precise reproduction. Thomas Bernhard wasn’t a fan of translation: ‘Translations hit the market as distortions / It’s the dilettantism / And the dirt of the translator / That makes a translation so repulsive.’ But isn’t that the point of Multiples? Distortions? After all, Paul Klee thought genius was an ‘error’ in the system; Bolaño that the sign of a work of art was to let it be translated, let the translator be far from brilliant. ST: You’ve translated before, Nabokov‘s ‘Mademoiselle O’ for your book Miss Herbert. As Nabokov advocated literal translation, did the practice of translating him influence your translation? Did it cast a shadow over Multiples? AT: Definitely when I was translating ‘Mademoiselle O’ I tried to make a translation that Nabokov would have approved of… I made it as sternly as I could. But I think Multiples was my anti-Nabokov project. And it was partly prompted by discovering something I hadn’t known before – when writing for the NYRB on Nabokov’s translations. It turned out that Nabokov himself had made a very different sketch for a translation of Eugene Onegin – three stanzas – which instead of the stern literalism he advocated later were written in a lovely imitation of Pushkin’s metre. I wish VN had continued with that translation! It would have been the perfect recreation of Pushkin in English. And it was the direct opposite of his later theories. And so it was thinking about the reasons for VN’s shift in ideas about translation that made me wonder if in fact there could be another kind of ideal translation, too. Multiples is my revolution. Or self-coup. ST: Didn’t you also translate Gogol, Chekov, Kundera,Hrabal, Schulz? And turn Madame Bovary down? Is translation something you may return to? Why don’t novelists translate more? AT: It’s true I made drafts of translations for Miss Herbert— as well as ‘Mademoiselle O’—which included stories by all those novelists. And I decided in the end to put them aside. The reason for not translating Madame Bovary was a pure problem of time. It would take so many years to do it properly! Which is I think the main reason why novelists don’t translate more. But also there’s a cultural reason for that lack which I wanted to question with Multiples: I feel that prose gets treated with too much orthodoxy, as opposed to poetry. There’s a tyranny of the idea of the professional. Whereas me, I want a prose version of Lowell’s Imitations! Whether I’ll go back to translation, I don’t know. For the moment I’m wondering if I’ve done what I want to do with translations… It was some necessary route of dismantling. ST: You’ve said that you’ve wanted to make translation more joyful. What has been the response to Multiples from translators? From its contributors? AT: Well, luckily, people seem to have liked it… I think its contributors all enjoyed the process — especially since it was often the first time they’d ever done a translation at all. And they were often surprised by the nature of the difficulties — which are always so minute and recalcitrant. So in fact maybe the contributors themselves had a harder time in the actual making of the texts… I think they were then kind of amazed, as was I, when they discovered how vast the finished project had become. ST: Multiples is a visual treat, as was Miss Herbert, and Kapow! was described as a Cy Twombly painting with their cascading texts. Would you collaborate directly with an artist, is that something that interests you? Like the modernist little magazine collaborations, or more recently, László Krasznahorkai and Max Neumann, or Alexander Kluge and Gerhard Richter? AT: I love Animalinside, and what Kluge and Richter have done too. And I’ve always adored those multimedia modernist magazines: or also the books in Moscow in the 1920s, like El Lissitzky’s Mayakovsky. So yes, the idea does interest me. And I do like producing books that have some kind of visual kink to them. (Even if, in the case of Miss Herbert and Multiples, that was really the contribution of the publishers and their designers, rather than a deliberate part of the work’s thinking.) And I do also sometimes feel sad that a certain freedom of thinking about art among artists isn’t quite replicated in the thinking about literature. I enjoy trying to imagine ways in which literature could be made more liberated — one of which, definitely, would be collaborations with artists themselves. I think I also find the general idea of collaboration intriguing — and partly as a result of this giant project. It’s interesting how far literature is conceived as a singular project: whereas it seems to me that there are more mini collectives and collaborations that are possible. Not just artists and writers, but also writers together: like Bioy Casares and Borges inventing their authors and works. ST: What can you tell us about Lurid & Cute? Is that finished? What’s next for you? AT: It’s a novel. Oh, what can I tell you? I’m trying to invent the most innocent narrator in world literature, who the reader gradually realises is also the most frightening… That’s the ideal. But it isn’t finished. Not at all. Finishing it is what’s next for me. I hope. Susan Tomaselli is the editor of gorse. She has written for the Guardian, The Stinging Fly, 3:AM Magazine and elsewhere. She lives in Dublin.